Since their release in April of 2010, Apple’s iPads have taken the US by storm. 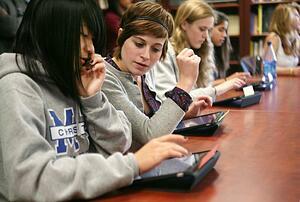 iPads have swept through almost every industry, especially education. Apple is pushing for iPad use in education, and several schools across the US have taken up the charge. 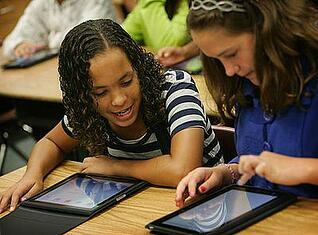 The proliferation of iPads in the classroom will only keep accelerating. With these powerful mobile devices come a lot of possible benefits for educators and students alike. We all know iPads are exciting and there is a plethora of engaging apps for them out there, but do they actually improve education? There have been many interesting studies done about iPads and the effects on both students and teachers. I’ve pulled together a list of various study results regarding using iPads in the classroom below. Check out just how much of an influence studies show they are having on education. Using tablets in the classroom can be powerful tools for learning and comprehension. The interactivity it provides can make for a very engaging experience for students of all ages. I think we will only continue to hear more studies and stories about how the use of iPads in the classroom are improving education.